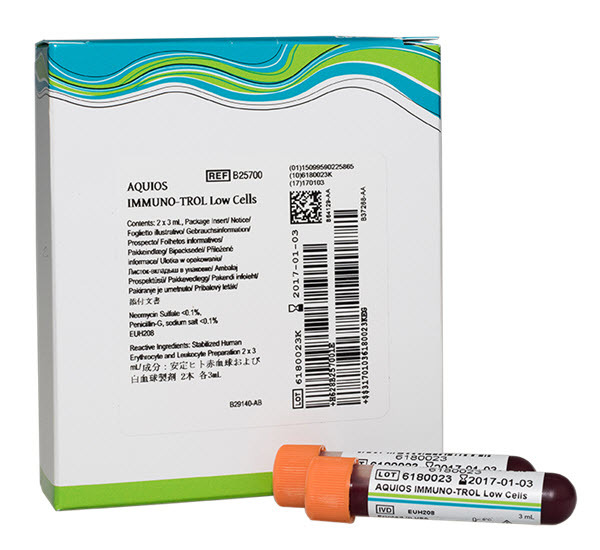 AQUIOS IMMUNO-TROL Low Cells are assayed, lysable whole blood quality control product for immunophenotyping analysis using monoclonal antibody reagents and flow cytometry. It provides a positive cell control that is processed in the same manner as a whole blood sample. This allows verification of instrument and reagent performance. It also verifies the methods used for staining targeted cells, lysing erythrocytes, and analyzing samples by the AQUIOS CL Flow Cytometer.